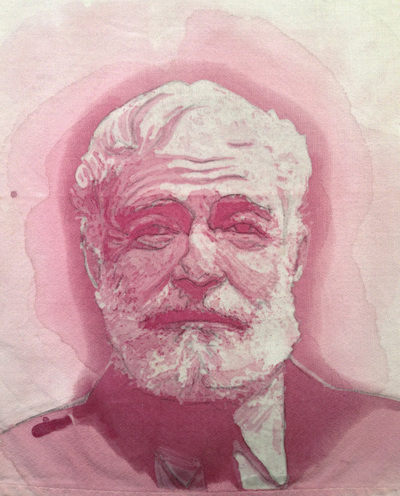 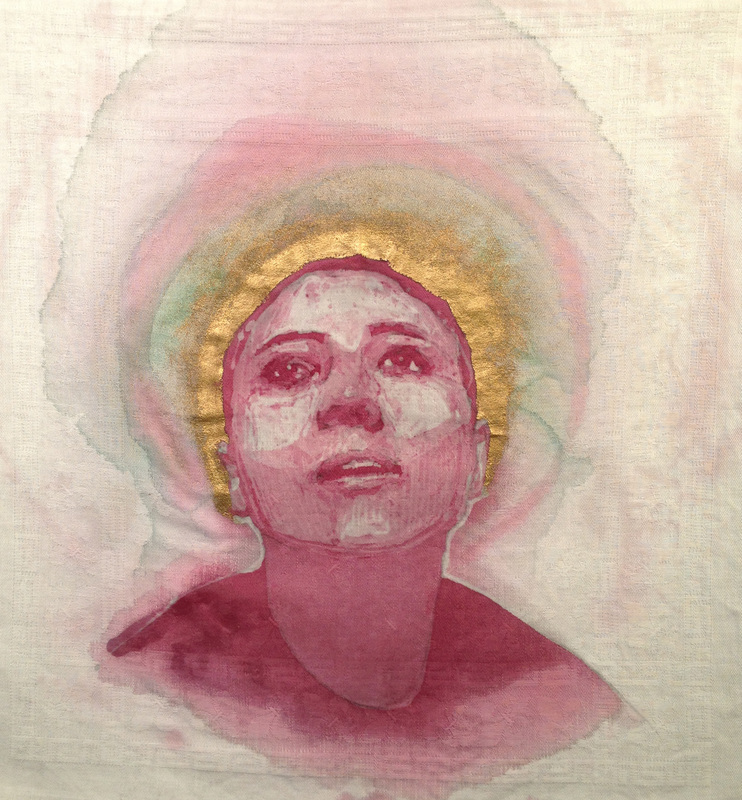 Ernest Hemingway | 2014 | 17" x 18" | Devois de Perret red wine on cotton | Sold! 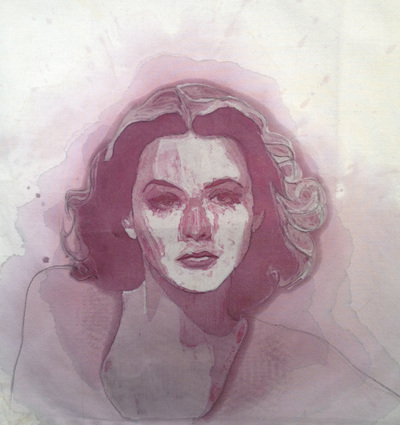 Hedy Lamarr | 2014 | 19.75" x 18.25" | Devois de Perret red wine on cotton | Sold! 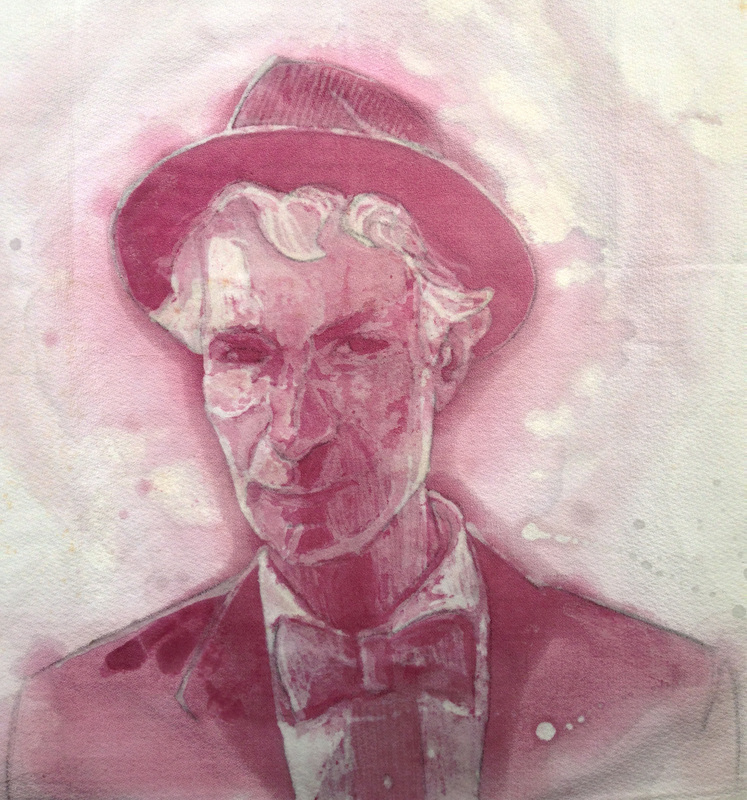 Bill Nye | 2014 | 19" x 17.75" | Devois de Perret red wine on cotton | Sold! 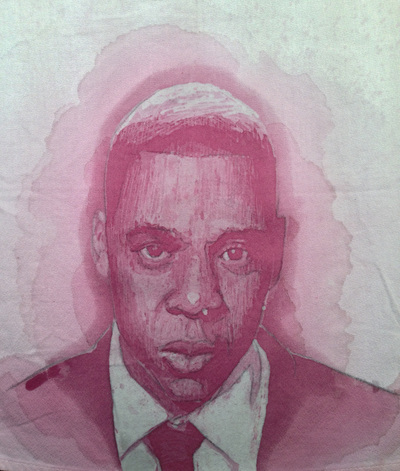 Jay Z | 2014 | 18.75" x 17" | Devois de Perret red wine on cotton | Sold! 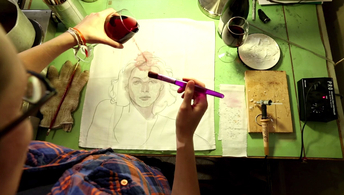 ​"If you could invite 5 people to dinner, living or dead, who would you invite?"